My computer just reminded me to order a water filter for the refrigerator. This is what my life has come to. We got our asses handed to us yesterday 3-0 against Tottenham Hotspur. It wasn’t West Brom’s finest hour. I had expected it, though. The Spurs are pretty good this year. And we haven’t been good for a bit now. I spent most of yesterday sitting on chairs and couches. Either testing them out or waiting for something to happen. I did get some “dehydrated marshmallows” ala Lucky Charms. As in a tub of them. 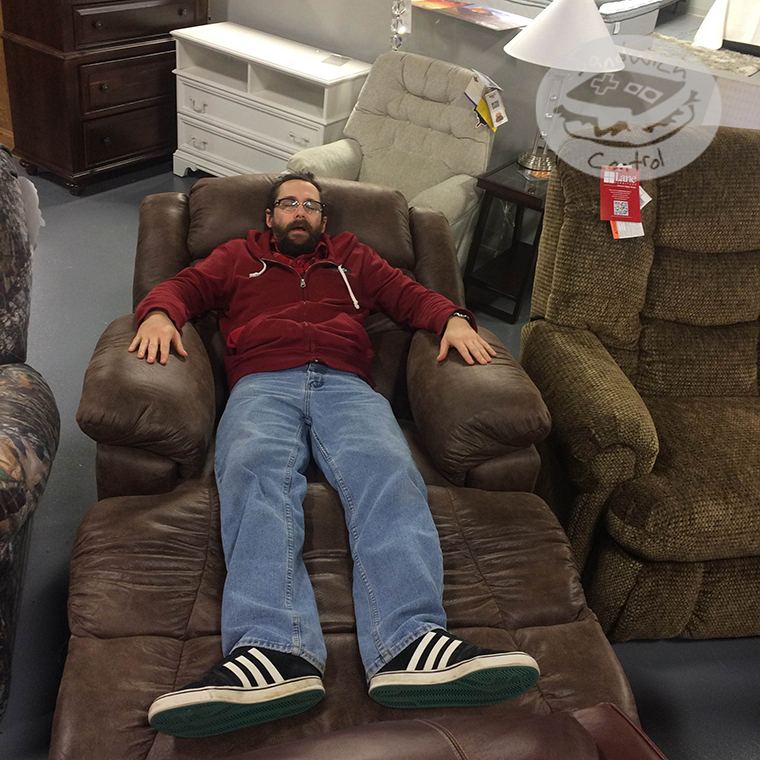 At some point, Teacher Sis found the most ridiculously large recliner ever. And I sat in it. Then, I reclined in it. I felt like a child in my dad’s chair. In the seated position, my feet didn’t touch the floor. After after a shower, cleaning the kitchen, and starting some laundry, I’m going to load up the iPod and head to the studio to start inking up that plate I’ve been designing. I might even get around to carving on it a bit today. Won’t that be nice? « The Characteristics of a Shape Define the Rules of the Shape.